just know and others make that decision when considering career options. For many students, sharing the joy of music becomes their passion. knowledge and enthusiasm as a professional music educator. What Does a Music Teacher Do? What Do I Have to Know to Be Able to Teach Music? What Can I Do Now to Gain Experience Necessary for Teaching? Does the Music Education Program Focus on Both Process and Performance? The process of making music – preparing the product – is very important. Much of the value of music is experiencing the process of getting the performance ready. It is through this pedagogical focus that students learn and develop critical thinking skills. Does the Music Education Program Provide a Variety of Experiences Observing and Working with Students? A quality collegiate Music Education curriculum should prepare you to teach music in any setting through relevant course work scores on examinations designed to test knowledge in a variety of subjects. Some states allow time for teachers to prepare to take these exams, but many do not. Most universities provide access to a number of these tests so that students may take them while still matriculated. Reciprocal certification agreements also exist between many states, making it possible for teachers who are certified in one state to relocate to another. Many music education programs are designed to prepare music teachers for more specific areas of concentration, such as choral, K-12. 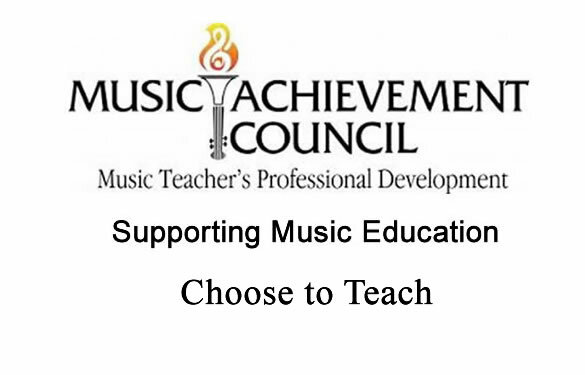 What are the Requirements for Acceptance into the Music Education Program? What about a Placement File/Portfolio? In completing a degree in music education, you have completed the specific requirements of a degree-granting institution; this will provide you with “entry level” skills for a teaching position. As such, states will issue either a certificate or a license, which will enable a new educator to teach in a public school setting. (Many private institutions do not require the same types of teaching credentials.) If you teach in a different state than the one in which you were trained, you may receive a temporary license until you meet the requirements of that specific state. Certificates/Licenses are required to be renewed periodically, so you will want to contact the State Department of Education in all of the states in which you plan to apply for a teaching position. State licensing procedures vary, but most require ongoing professional development, so it is important to start early by accruing post-graduate credits. What is the Range of Certification Licensure Options? Each state sets its own criteria for certification/licensing, a process that acknowledges the preparation received from an accredited college or university. In addition to possessing the appropriate college degree, most states require teacher candidates to provide proof of passing should be neat, well-organized, provide evidence of good communication skills (including written skills) and show experience working with a diverse student population. Many school districts want to watch prospective teachers demonstrate their skills by teaching a lesson at one of the schools. Teacher candidates should be prepared for this situation in case it is a required part of the application process. What are the Alternatives to Teaching in the Public Schools? Will I Have to Give Up Performing to Teach Music? No! There are many opportunities throughout communities of all sizes to continue performing. Performing is an essential tool of any good music educator and provides an opportunity to be a good role model for your students. Supporting Music Education: Work with the Best! Band Directors: Education’s Toughest Job?